Greetings from the Center for East Asian and Pacific Studies at the University of Illinois! I would like to take this opportunity to introduce myself to our AEMS News and Reviews readership. My name is Elizabeth Oyler, and I am the incoming director at the Center which houses AEMS. As a specialist in medieval Japanese literature and drama and an educator whose classes cover all of East Asia, I am a long-standing user of AEMS materials and the insightful reviews of available materials that this newsletter provides. The Center remains committed to providing our readership with News and Reviews, and we encourage your feedback on the reviews you find here, as well as recommendations for films and other media to review in the future. AEMS is in a transition this year, but we are working hard to ensure the quality of our fundamental programs, including News and Reviews, which both the staff and our advisory board see as one of our most important services to the field. We will be publishing quarterly this year, but we continue to be extremely lucky to have Nancy Jervis staying on board as News and Reviews editor, assisted by Jason Finkelman, the Events Coordinator for AEMS. We look forward to a year of reviews not only of individual films but also series --including The Water Cries, reviewed in this issue-- from Asia and the Pacific region. We also encourage you to visit our newly-launched Digital Asia website: http://digitalasia.illinois.edu and read more about the NEH Summer Institute on Chinese Film and Society hosted by Nancy Jervis and Gary Xu on the University of Illinois campus: http://www.aems.illinois.edu/nehchinesefilm. And please stay in touch - your support and ideas are crucial as we move forward! Reviewed by Weili Ye, Ph.D. 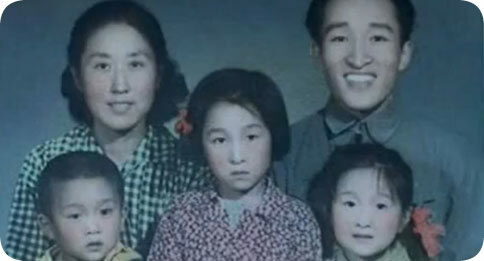 The documentary Though I Am Gone by Chinese independent filmmaker, Hu Jie concerns the death of Bian Zhongyun, the leader of a prestigious Beijing girls' high school, mother of four, and a victim of the Chinese Cultural Revolution (1966-76). On August 5th, 1966, Bian collapsed on the school campus after enduring prolonged verbal and physical abuse by her own students and died shortly thereafter. Her death has become one of the best known and most symbolic Cultural Revolution (CR) deaths, and the attention paid to it is well-deserved. Bian was the earliest victim from a student beating in Beijing. It took place in broad daylight, within only a few miles from Zhongnanhai, the headquarters of the Chinese Communist Party (CCP). The brutality of the act, the prestige of the school (it was the most prestigious girls' high school in Beijing) as well as the gender of the actors made Bian's death one of the CR's most shocking and perplexing cases. Many similar deaths would soon follow in Beijing and throughout the country, making Bian's death both consequential and portentous. Created by Boston Children's Museum, published by Cheng & Tsui, 2009. The best way for children and teenagers to understand the similarities and differences between their own culture and another is to meet someone their own age from that culture. Study abroad, student exchanges, and home stays are too expensive for many young people, so video diaries are excellent alternatives for students. 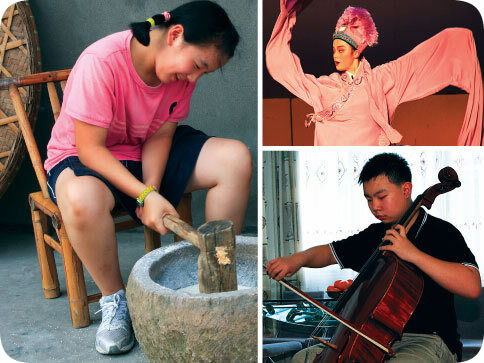 Created by the Boston Children's Museum as a supplement to their traveling exhibition, Children of Hangzhou: Connecting with China, the DVD of the same name is a wonderful way to help Americans learn about the daily life of young people in China. The bilingual DVD introduces four teens: Doudou, a 12-year-old girl; Weicheng, a 14-year old boy; Quanyun, a 16-year old girl; and Gangzheng, a 15-year-old boy, as guides to life in Hangzhou, the capital of Zhejiang Province, located on the southeast coast of China. Hangzhou is a fortunate choice for setting since it is a modern city adjacent to beautiful rice-growing countryside. Each vignette thus explores traditional Chinese culture against the backdrop of contemporary life. Produced by China Central Television International (CCTV), distributed by Asia Pacific Films. 2005 (Chinese), 2009 (English). Given China's astounding economic growth over the past forty years including its ever-increasing role as "merchant to the world," it should come as no surprise that the nation's environmental problems have escalated rapidly as well. The volume of goods pouring out of China's factories along with equally-dramatic expansions in agriculture and massive building booms almost assures that environmental problems of all types would (and have) grown increasingly severe and complex. Consumers throughout the world seldom associate their purchases of goods from China with the nation's many environmental problems, but they should. Manufacturing results in air and water pollution. Higher wages, in turn, stimulate domestic building booms, infrastructure expansions, and the rise of a "consumer culture" which thrives on greater per capita consumption of land and water. These factors conspire to expand the range, reach and complexity of the nation's environmental problems. Despite these simple truths, China's environmental problems are usually treated in isolation by the western press, seldom linked to international or domestic consumption of Chinese goods. While China's environmental problems are many, ironically, the prosperity partly responsible for these problems may also prove to be the nation's salvation, as higher tax revenues and incomes in the past four decades have generated the funds that are now allowing the nation to address its environmental problems more aggressively. Unfortunately, far less attention is paid to the massive efforts that China has paid to mitigating these problems, especially in the last two decades, than to the problems themselves. For a variety of reasons, Chinese environmental protection efforts are seldom the subject matter of English-language newspaper articles, reports or research. It is often true that "good news travels on foot while bad news on horseback". China's effort to improve the environment and limit degradation remains a largely untold story, which The Water Cries seeks to rectify. For the 2012 Annual Conference of the Association for Asian Studies (AAS), the Asian Educational Media Service (AEMS) at the University of Illinois will once again organize the video screenings held in conjunction with the meeting. The AAS Annual Conference will take place March 15-18, 2012 at the Sheraton Centre Toronto Hotel in Toronto, Ontario, Canada. We are seeking films related to Asia from both distributors and independent filmmakers. We particularly seek suggestions about films we may not otherwise know about, from filmmaker-scholars who have yet to find a distributor, for example. Films produced in Asia are welcome, but they must have English narration or subtitles. About twenty videos will be selected for scheduled showings. Criteria utilized in the selection process include timeliness, broad appeal to the scholarly community, and examples of new field work. All films presented in the conference will be listed in the AAS Annual Meeting Program Addendum and described in Addenda available at the meeting, including a list of distributors and contact information. Films the length of a typical class period (40 minutes or less), or which have segments the length of a class period, are encouraged (but are by no means necessary). The deadline is for submission is December 2, 2011. We will not be accepting any films that had scheduled showings at past meetings. If the film is not yet available on DVD, please contact aems@illinois.edu for special instructions. We expect the selection process to be completed by January 31, 2012.